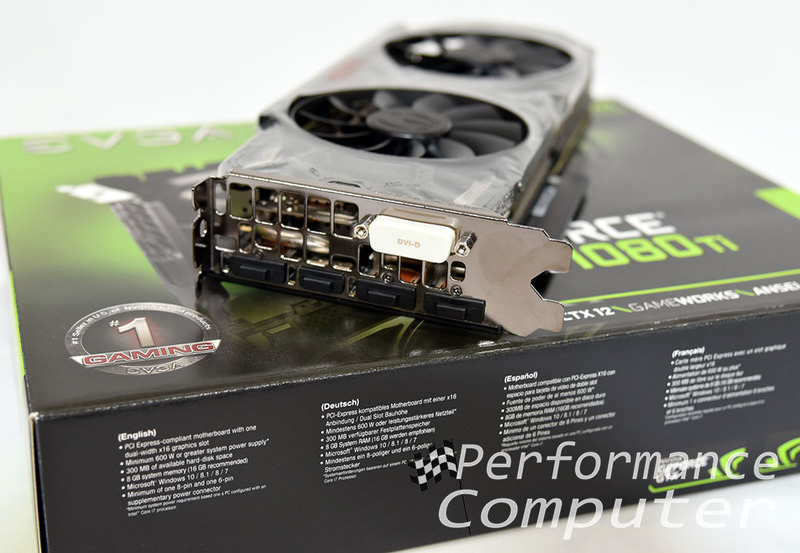 When the Nvidia GeForce GTX 1080 was released, it was a groundbreaking card with unthinkable power efficiency. In fact, it was essentially just as good as two GTX 980s in SLI! The one area where it wasn’t quite powerful enough however was 4K gaming at the all-important 60 FPS mark. 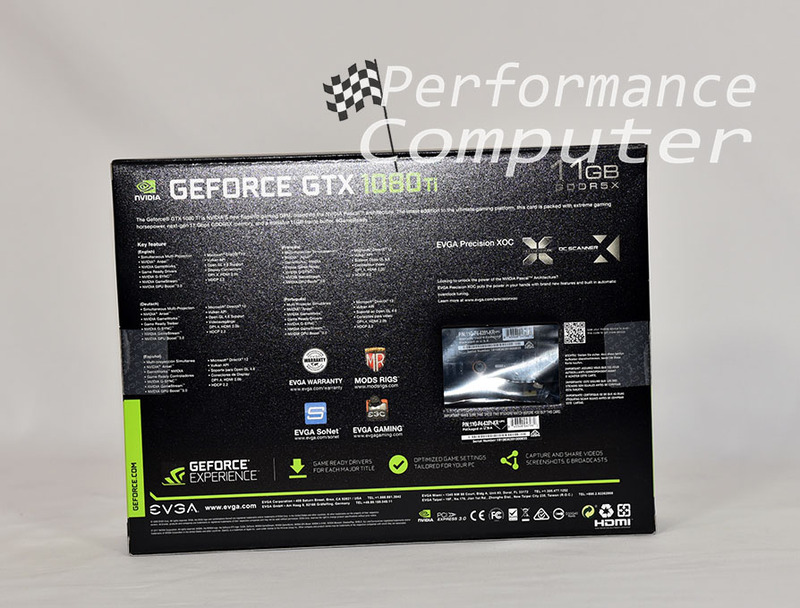 The EVGA GTX 1080 Ti Black Edition is one of the first aftermarket GTX 1080 Ti graphics cards and its purpose is to be the monster GPU of the Pascal generation that handles anything, and everything thrown at it. Does it? We shall see! Note: The benchmarks section of this review has been updated to include comparisons to the 1080 Ti’s successor, the Nvidia GeForce RTX 2080 Ti. Starting with the box, several logos and badges occupy the front. 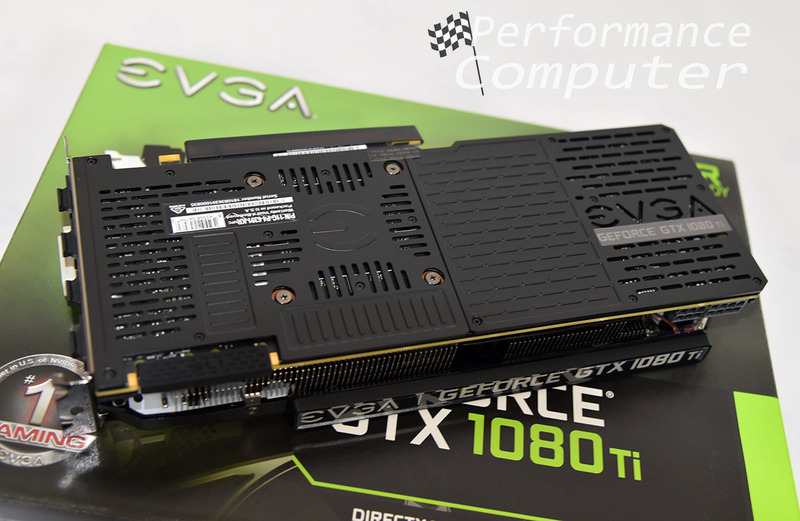 EVGA’s logo, a graphic of EVGA GTX 1080 Ti Black Edition, the Nvidia GeForce GTX logo and a VR ready badge can be seen. In addition, several supported features including DirectX 12, Nvidia GameWorks, Ansel and VRWorks are shown in the bottom right corner. Finally, standing proud in the right corner is EVGA’s “#1 Seller in U.S. of Nvidia Gaming based products” badge. 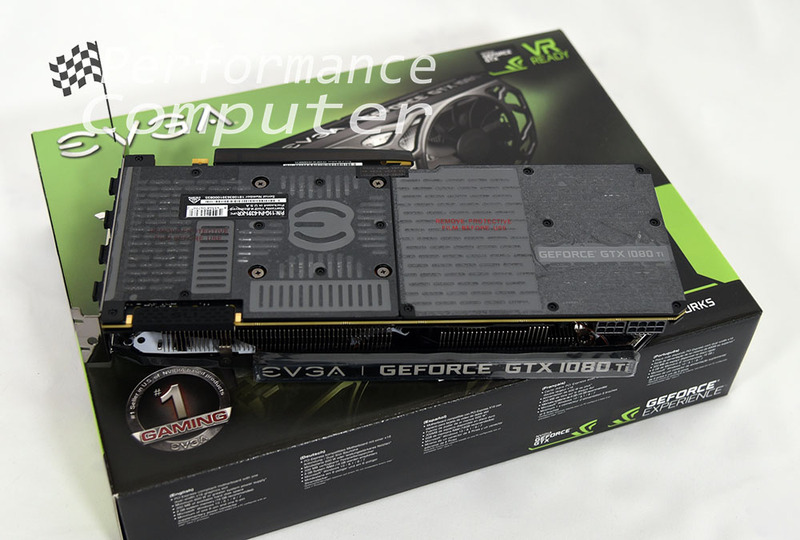 The back of the box displays a short description, several key features as well as EVGA’s graphics card software badges for Precision XOC and OC Scanner. The GTX 1080 Ti Black Edition is well protected in a foam padded insert. A GeForce GTX 10/900 series booklet is included. A GPU power cable splitter is also included. Here it is, the first thing we notice are the massive double ball bearing cooling fans! 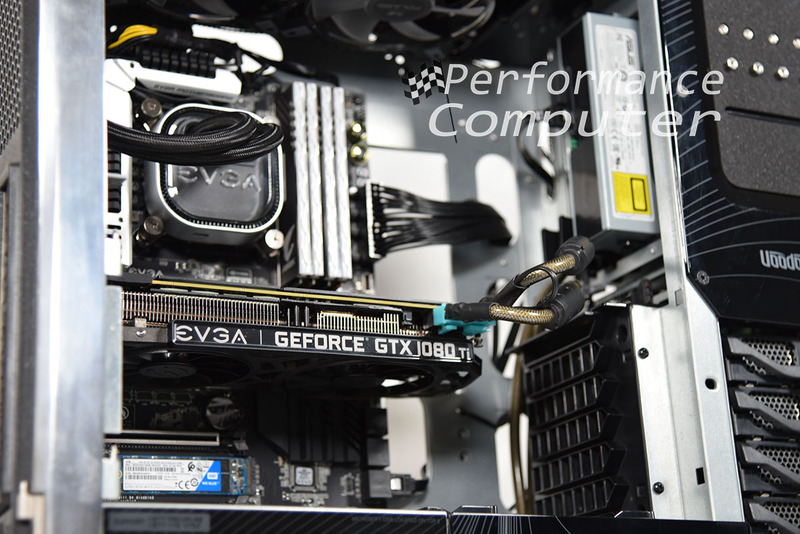 The words “EVGA” and “GeForce GTX 1080 Ti” are also on the top and bottom left corners respectively. EVGA knows how to design beautiful, classy looking cards and the GTX 1080 Ti Black Edition is most certainly among the best looking. 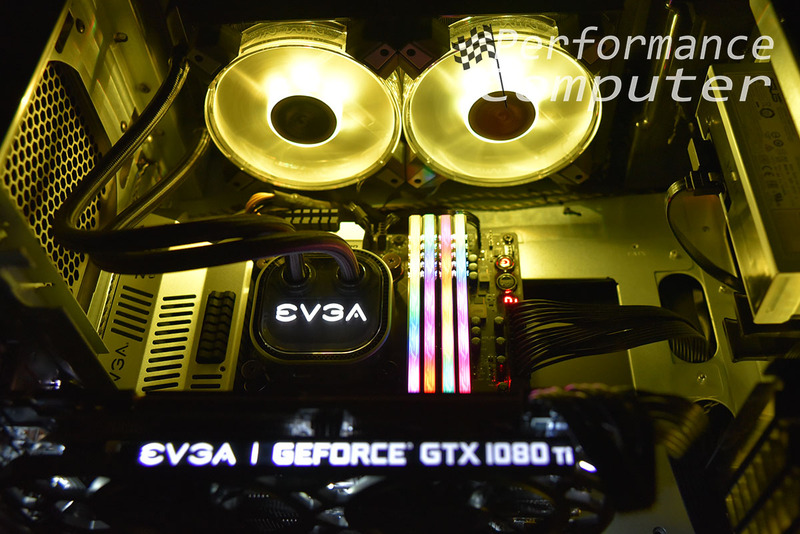 On the primary side, we see the EVGA GTX 1080 Ti LED logo which turns white when powered on as well as the 6-pin and 8-pin power connectors. In between those is the giant heatsink that cools this beast. Here you see the vertical oriented heatsink fins. The top of the card shows off the ventilated backplate which is a diecast form fitted backplate that protects the PCB while providing additional cooling. This graphics card is heavy and oozes quality. Saying it’s a very well-made product is an understatement. 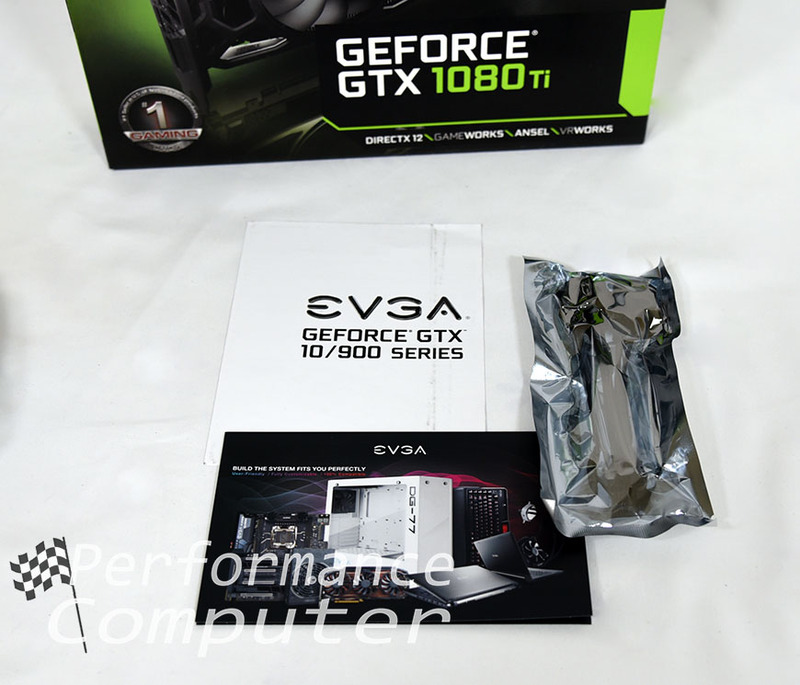 EVGA truly did a great job designing and manufacturing the GTX 1080 Ti Black Edition. Here are the ports: 1x DVI-D, 3x DisplayPort and 1x HDMI. 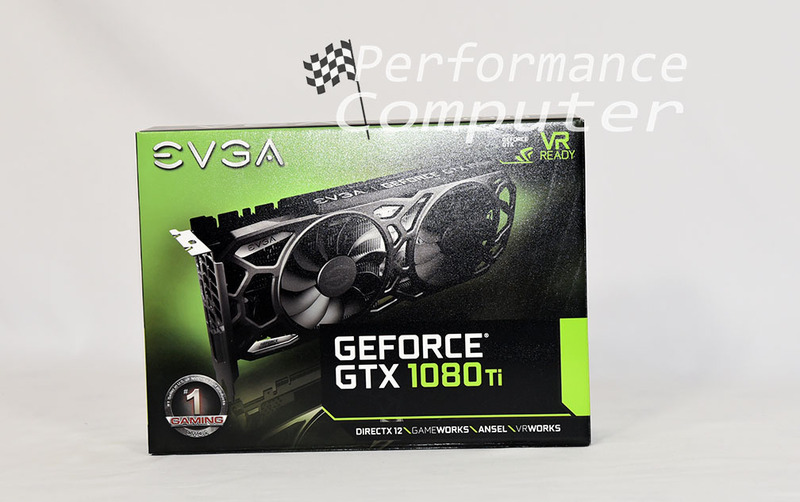 This card uses EVGA patented iCX cooling technology which features several improvements to the heatsink including holes on the fins, half open fins and L-shaped fins for maximum airflow and some of the lowest temperatures on a stock 1080 Ti. The fans are double ball bearing and do not turn on unless the card is being stressed to the point of requiring cooling. Standards tasks on the Windows desktop result in a silent experience as the massive heatsink is plenty to cool the GTX 1080 Ti Black Edition under such conditions. Our card’s idle temperatures hovered around 31° C and our load temperatures fluctuated between 75° C and 80° C, depending on the game/benchmark. 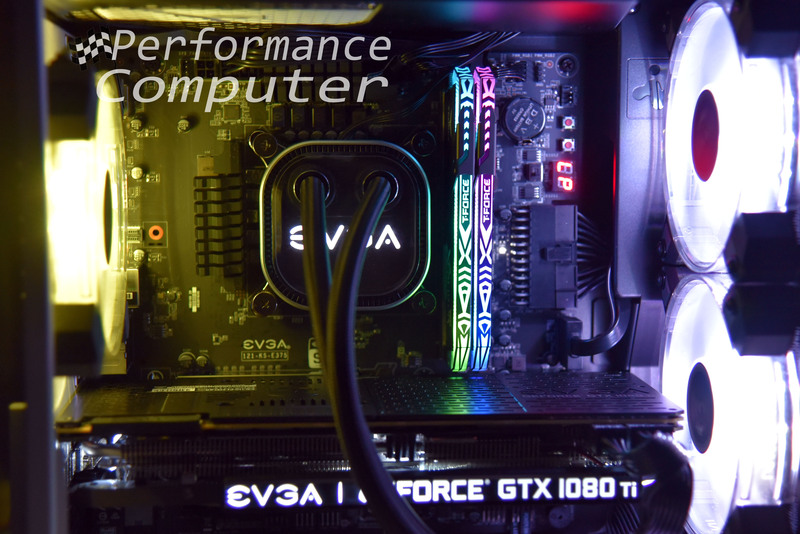 We are currently waiting for EVGA to release an update to their Precision X1 software to support GTX GPUs, as we will be releasing an overclocking guide which will explain how to overclock EVGA GPUs and maximize the performance of these phenomenal graphics cards. For more information on our testing system as well as a comparison to the RTX 2080 Ti and RTX 2080, see our ultimate RTX/GTX graphics card benchmark comparison guide. 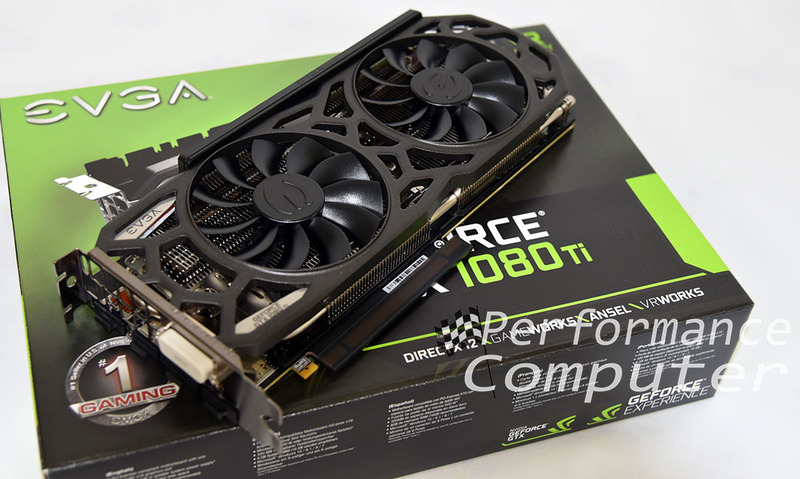 The EVGA GeForce GTX 1080 Ti Black Edition is a spectacular graphics card from the top manufacturer of consumer GPUs. At this point, it competes directly with the RTX 2080 in most games, minus ray tracing, etc. If you can still find one, it’s a great value for both 4K and high frame rate ultrawide gameplay and will no doubt serve you well for years to come. 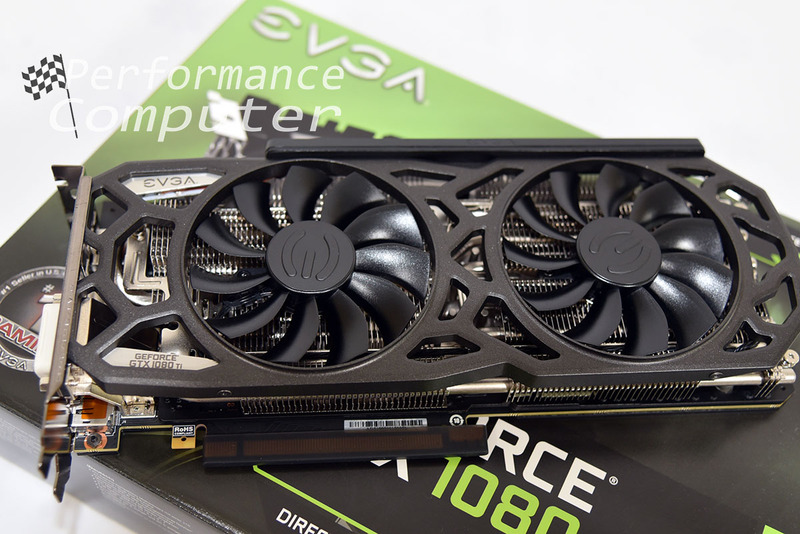 As with all the EVGA products we have used and reviewed over the years, we are thoroughly impressed with the consistency and superior experience the GTX 1080 Ti Black Edition has provided. 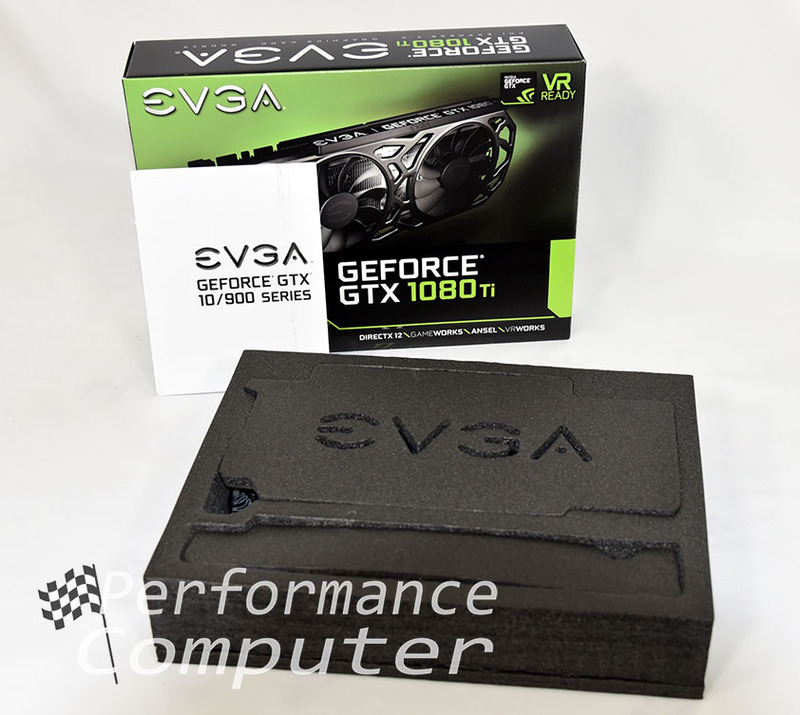 EVGA’s customer support is second to none and is always available should you need assistance with your new EVGA graphics card. Combine this with EVGA’s 3-year warranty and you have an incredibly compelling gaming graphics card solution. 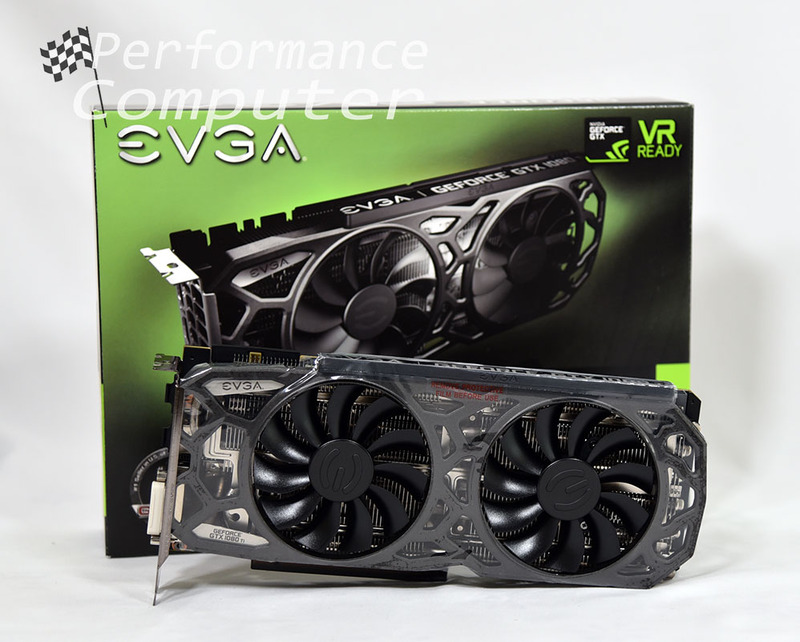 We highly recommended the EVGA GeForce GTX 1080 Ti Black Edition!